生於英格蘭，畢業於劍橋大學國王學院，目前任職英國劍橋大學岡維爾與凱斯學院(Gonville & Caius College)，專攻中世紀與海洋史。 阿布拉菲雅鑽研中世紀與文藝復興時代的地中海世界的經濟，社會，政治史。他也研究三個一神教在西班牙與西西里的互動，包括猶太人與穆斯林的苦難。此外，也寫下The Discovery of Mankind(2008)探討15世紀與16世紀初期大西洋東西兩側的相遇----歐洲人與原住民的遭遇。 2011年，阿布拉菲雅出版了«偉大的海»，並且在2014年做了更新(繁體版採用的版本)。這本書集中探討西元前22000到西元2010年地中海世界，人們往來穿梭與地中海所帶來的商品與理念的交流、人們打造的港口與棲息的島嶼。 «偉大的海»出版當年的2011年便榮獲Mountbatten Literary Award ,2013年得到The British Academy Medal的榮譽。這部大作已在義大利，西班牙，葡萄牙，法國 德國，美國，以色列，突尼西亞與日本出版。 阿布拉菲雅於2015年當選英國國家學院院士(British Academy)與歐洲科學院(Academy Europeaea)，也受頒「義大利之星」勳章(Commendatore級)。 大衛‧阿布拉菲雅跟地中海世界頗有淵源。他小時候待過西班牙的托雷多，布哥斯，塞維亞，沙拉哥薩等地。而他的猶太祖先是在1492年被費迪南國王與伊莎貝拉皇后下達驅逐令而出走落腳在鄂圖曼領土的地中海東岸采法特(Safed)。 主要作品有： The Two Italies. Economic relations between the Norman Kingdom of Sicily and the northern communes 1977; Italian edn., 1991. Italy, Sicily and the Mediterranean, 1100-1400, 1987. Frederick II. 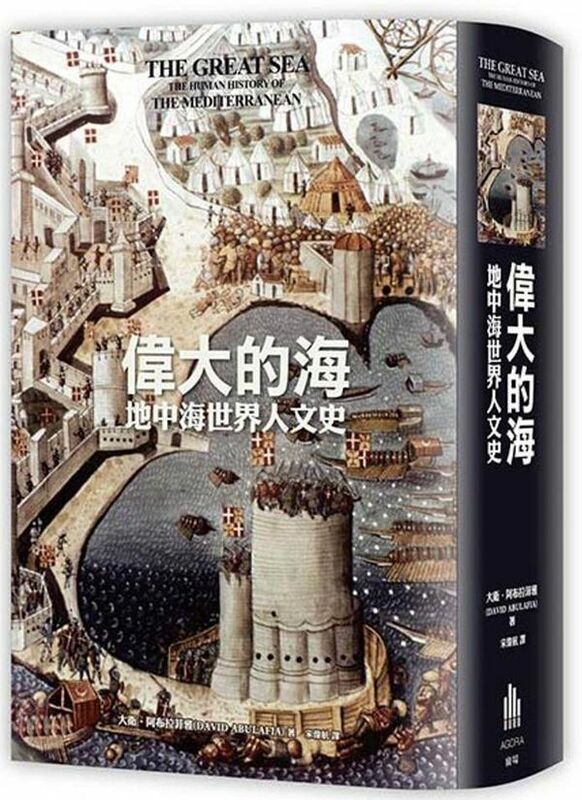 A medieval emperor London and NY, 1988; third English edn., 2001; Italian edn., 1990; German edn., 1991. Spain and 1492: unity and uniformity under Ferdinand and Isabella, 1992. Commerce and Conquest in the Mediterranean, 1100-1500, 1993. A Mediterranean Emporium: the Catalan Kingdom of Majorca 1994; Spanish edn., 1996. The Western Mediterranean Kingdoms, 1200-1500. The Struggle for Dominion 1997; Italian edn., 1999. Mediterranean Encounters, Economic, Religious and Political, 1100-1550, 2000. The Discovery of Mankind: Atlantic Encounters in the Age of Columbus, 2008; Spanish edn., 2009; Italian edn., 2010. Il Duomo di Monreale: lo splendore dei mosaici with M. Naro, 2009; French edn. 2013.